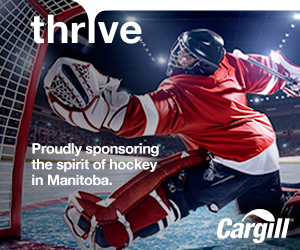 Hockey Manitoba is the provincial governing body of hockey inthe province of Manitoba. As such, the organization must oversee the management of programs from entry level players to senior (adult) members with over 35,000 participants and volunteers who enjoy the game province wide on an annual basis. Hockey Manitoba is very proud of the programming opportunities that we provide for our members through the direction, leadership and assistance of our Board, Staff and countless volunteers whose primary objective is to deliver the game in a safe, structured and fun environment.